Think countryside meadows on a sunny day. Chic yet rustic, pretty yet fuss-free – perfect for spring or summer. Works really well with neutrals or black for a striking silhouette. 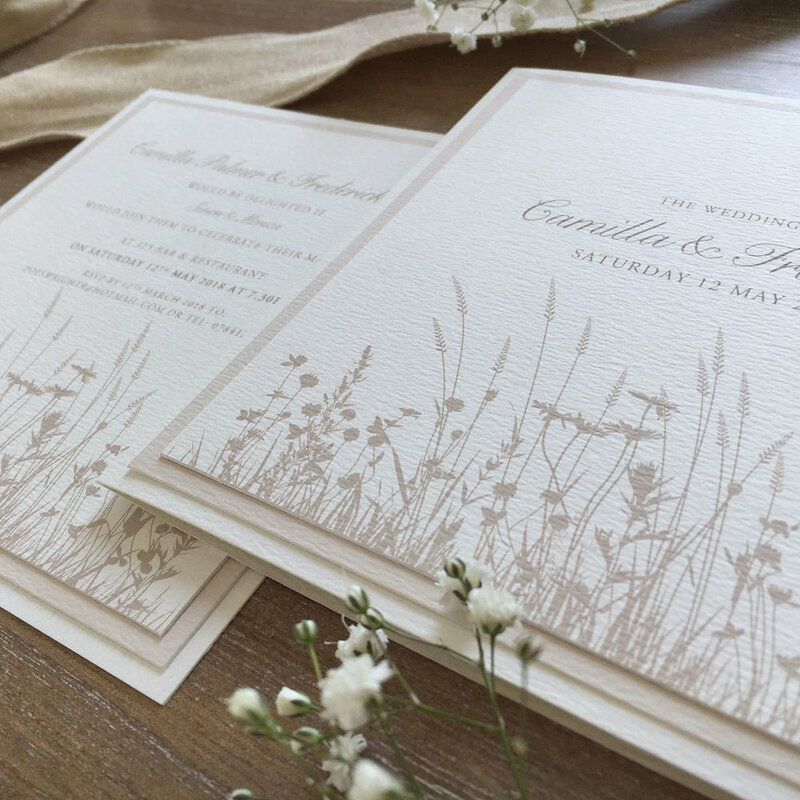 Our image shows Camilla on ivory textured card with neutral printed tones.